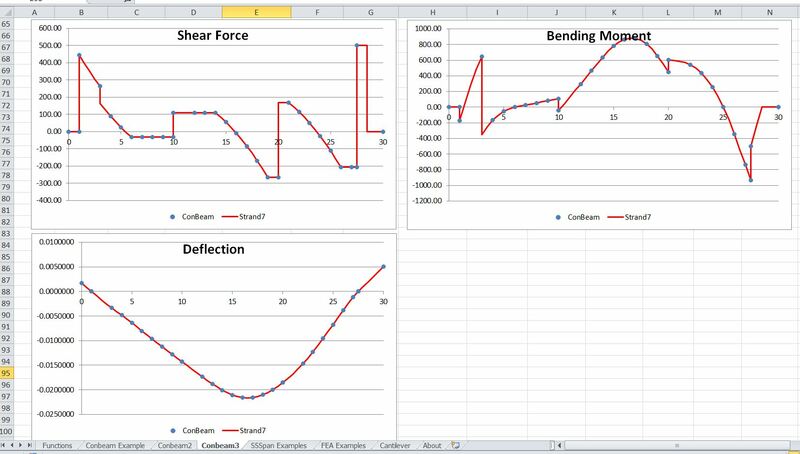 The Macaulay Spreadsheet has now been modified to optionally include shear deflections, as well as a new option to output support reactions, and fixes to minor bugs. The screenshots below show an example (included in the download file) of a three span beam with spring supports and shear deflections included, compared with output from the Strand7 FEA program. It can be seen that there is near exact agreement for both beam actions and deflections. 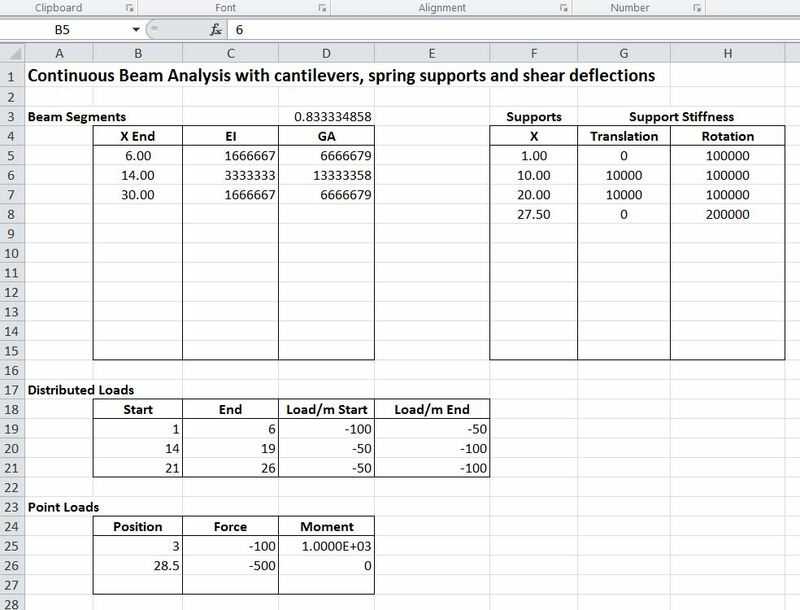 This entry was posted in Beam Bending, Excel, Frame Analysis, Newton, UDFs, VBA and tagged continuous beam analysis, Excel, Macaulay's Method, shear deflections, support reactions, UDF, VBA. Bookmark the permalink. I have been following your work for quite a while now. Really appreciate your effort. Unfortunately I am completely new to excel and hence the UDF’s. I request for a tutorial on how to use this one. So is it tricky to add shear deflections to the cantilever analysis? tibia – not too tricky – it should appear in a day or two. dougaj4 – thank you so much. this is amazing.